The announcement that Get Out will compete in the comedy-musical categories at next year’s Golden Globes has once again thrust Jordan Peele’s directorial debut to the forefront of conversation, nine months after it hit theaters. Get Out, of course, is one the year’s most successful films, a horror-thriller that explores disturbing themes about race in America and which grossed more than $250 million against a $4 million budget. That’s why its award-season categorization as comedy is hitting all the wrong notes. For one, the film’s scathing critique of white privilege and racial injustice is no laughing matter. Lil Rel, the breakout comedian who was responsible for most of the film’s laugh-out-loud moments as a scene-stealing TSA agent, tweeted in response, “But if I can be honest this is weird to me… Their is nothing funny about racism… Was it that unrealistic lol.” Peele also chimed in on Twitter, suggesting that for minorities in America, his film is more fact than fiction. “Get Out is a documentary,” he tweeted. In order to understand why Get Out is being reclassified nearly a year after it hit theaters we need to look at the organization that made the decision, the Hollywood Foreign Press Association. As far as Hollywood’s awards go, the HFPA, which hosts the Golden Globes, is regarded as the Academy of Motion Picture Arts and Science’s jovial, boozy uncle. While the Globes do often predict which films will take home hardware at the Oscars—Moonlight, 12 Years a Slave and Argo all won the Golden Globe for Best Motion Picture, Drama before taking home an Oscar Best Picture—the show overall isn’t rooted in critical tastemaking. With a voting body comprising some 90 international journalists, the organization is more interested in producing a star-stacked ceremony than it is in being seen as a legitimate journalistic entity. Why the HFPA divides the top film prizes into two categories—best drama and best musical/comedy—then is simple: the more inclusive your awards show, the more celebrities who will show up. Part of what makes Get Out both fiercely entertaining and innovative is the way it snakes between genres to give us something that feels fresh and unexpected. 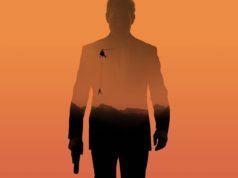 It is a film that ultimately defies categorization, and since horror movies are typically left out of the year-end awards conversation, to some extent, Universal had no other choice than to submit Get Out against campy contenders like James Franco’s The Disaster Artistand Margot Robbie’s I, Tonya less it go head-to-head with World War II sagas like Christopher Nolan’s Dunkirk and Gary Oldman’s Darkest Hour. Perhaps therein lies the problem. Award categories are by definition limited. Categorizing Get Out as a comedy doesn’t detract from the fact that it’s vital social commentary about race in America, but it doesn’t do it justice either. 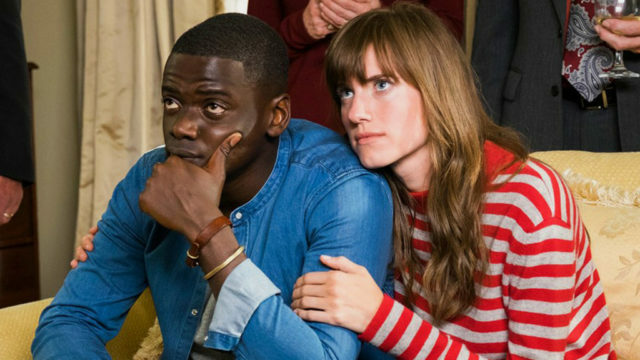 When the history books are written, Get Out will endure long after this year’s awards shows. All that really matters is that we remember it.